Statkraft is Europe’s largest supplier of renewable energy and Norway’s leading power company with 3600 employees in more than 20 countries. 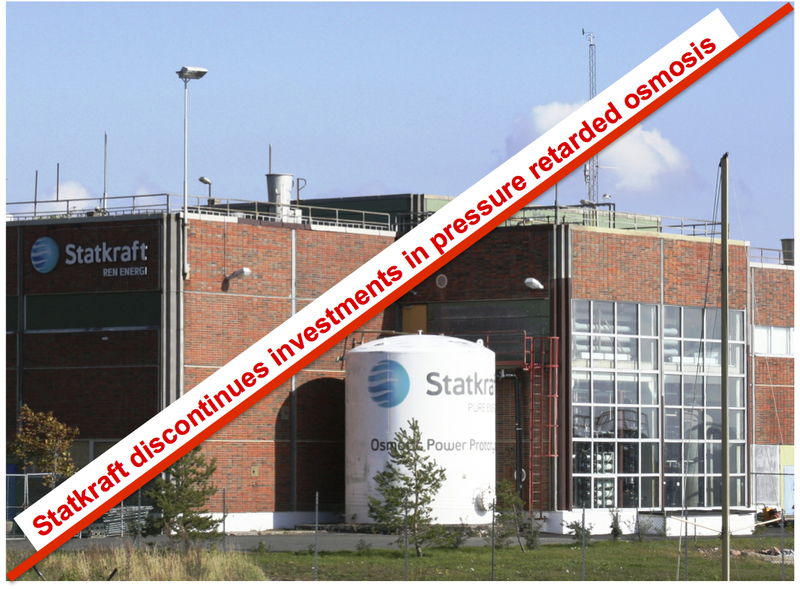 For the last 10 years, Statkraft have been devoting considerable resources to developing osmotic power through a process known as pressure retarded osmosis (PRO). But on December 20th 2012 Statkraft announced they were pulling the plug on osmotic power. How does Osmotic Power / Pressure Retarded Osmosis work? Why did Statkraft terminate their osmotic power project? Since 24th of November 2009, Statkraft have been operating the World’s only pilot scale river/seawater powered PRO plant at Tofte in Norway. The plant ran at 10kW capacity with an initial membrane energy density of 1 W/m2. 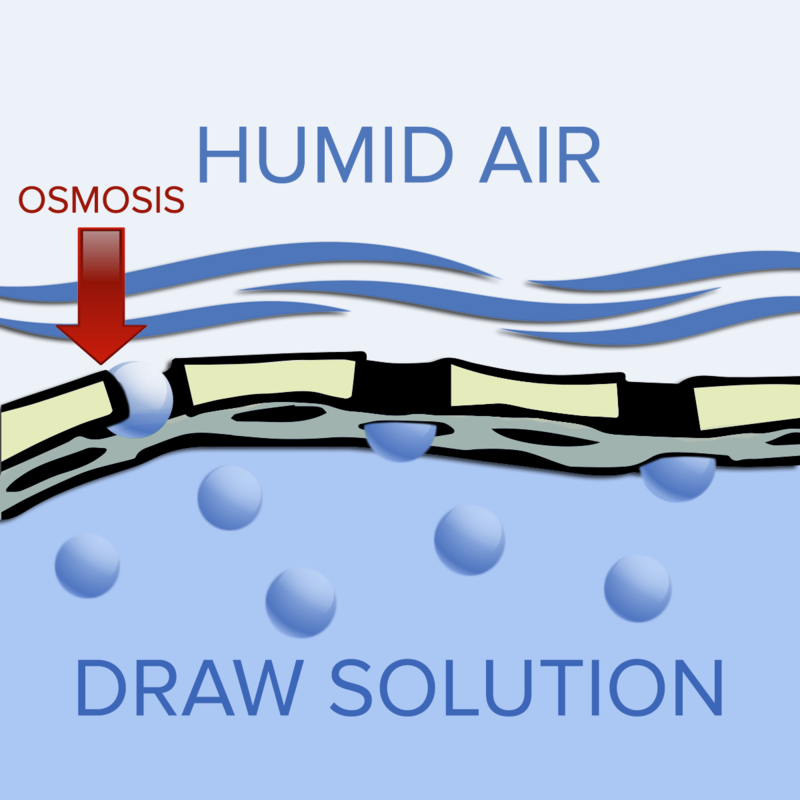 However, economical break-even for osmotic power requires PRO membranes to generate 5W/m2 and be priced in the same range as standard RO membranes today (<20 USD/m2). And it is exactly at the membrane level Statkraft have experienced their biggest challenges. 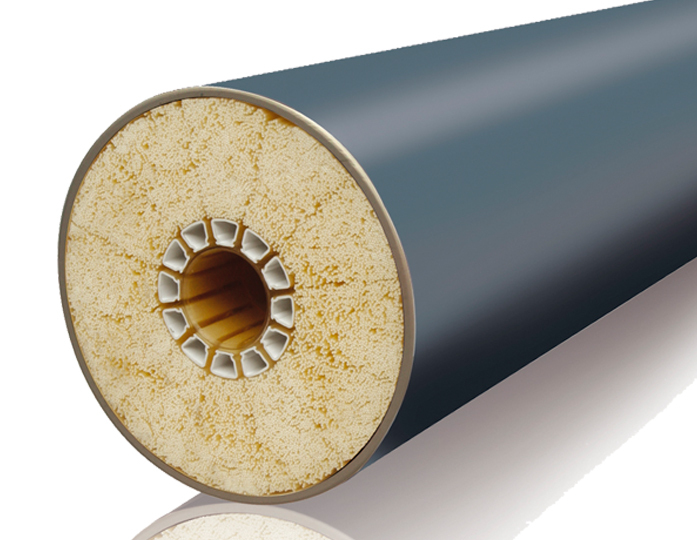 Although plenty of R&D type membranes are able to reach up to 10W/m2, there are no high performing AND CHEAP bulk PRO membranes available for purchasing today – and this situation is not expected to change within the next 5 years. Add on top of this, the huge scale of operation needed in order to drive down the actual OPEX costs of producing electricity in an osmotic power plant, and you’re left with a rather bleak outlook. It is very likely this kind of reasoning that has led Statkraft to the conclusion that economical viability for osmotic power production lies too far in the future to justify further funding of their project. How does the future look for PRO and osmotic power? 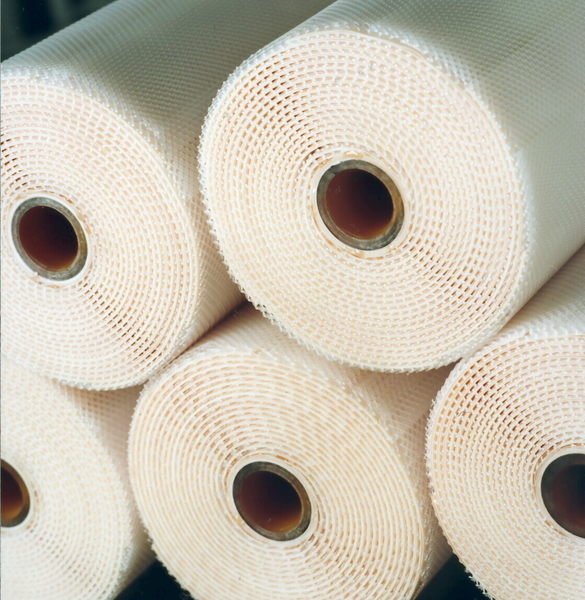 Statkraft’s recent decision to pull out of the osmotic power area definitely caught the forward osmosis community off guard – with both researchers and soon-to-be commercial producers of FO membrane products now asking themselves whether PRO will ever find widespread industrial use. Fortunately, it may all not be as bad as it seems. Statkraft’s failure to commercialize osmotic power should be used as a learning experience to spur on commercial entities to identify economically viable PRO applications within the restraints of the current technological know-how and commercial availability of suitable membrane products. PRO-based recycling of energy in industrial water processes is one area that could see commercial activity within the near future. Do you guys know who the main players are in PRO now that Statkraft have pulled out? 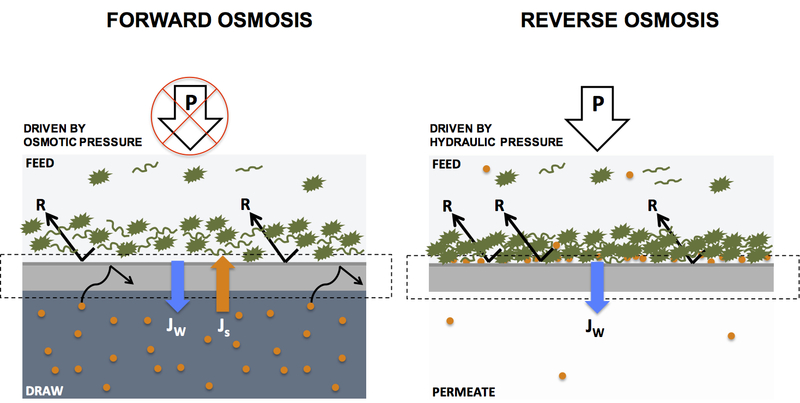 I would also like your opinion on how forward osmosis membrane designs can be improved to yield higher PRO energy densities. Improving PRO energy densities is simple in theory but very difficult in real life. 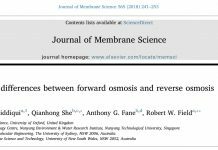 Energy densities can be improved by reducing the overall thickness of FO membranes (thus reducing internal concentration polarization effects). However, reducing thickness also results in a decrease in mechanical stability, which is an essential prerequisite for any PRO membrane. What’s needed are very thin, very permeable, and very strong membrane materials. Based on the current state-of-the-art in scientific litterature, we think commercially available and economically feasible PRO membranes are still 5 years away from being realized. Many thanks for the information. It is a pity that, once again, Europe’s leading edge contribution in this field now seems to be migrating East! Anyway, at least there is still work being done in this field. This has to be beneficial for us all, eventually. Also, we appreciate the write-up consideration and when we get closer would like to be considered, but, as I said, we are still at a very early stage and are investigating everything before we commit to a specific design & construction. Sure, just let me know when you are ready to share a write-up of your work. We would be more than happy to publish it on ForwardOsmosisTech. Regarding the swept frequency ultrasonic vibration, I would have thought this is more of an anti-fouling than an anti-polarization remedy? Perhaps you could elaborate on this? 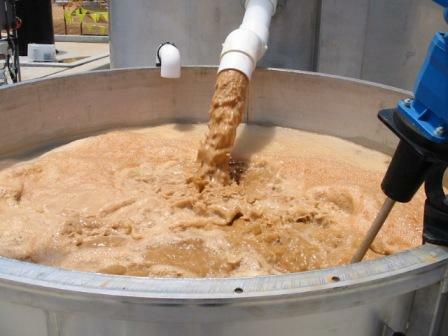 The idea is similar to fluidized-beds where mass transportation is improved. The thought was to improve the mobility, reduce friction, both sides of the membrane using ultrasonics. Also, if we could identify any resonant frequency in the water column it could improve molecular transport and movement.. Anyway, will wait and see if the calculations work out! 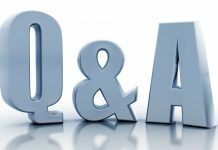 Thanks for your input on this its greatly appreciated. Am extremely saddened by the news that the world leader is pulling out of Osmotic power! However we (a small pvt UK based team) intend to continue with our long term objectives of producing a 1KW version for home use. We understand it will be more expensive that the grid, but when grid power is disrupted then power at almost any cost is better than none. Membrane supplier information would be most helpful. I’m happy to hear your company is still pursuing PRO, which many experts view as “The Holy Grail” of forward osmosis technologies. As mentioned in the article above, we believe Statkraft’s decision to pull the plug on their PRO developments was based on poor timing and NOT a lack of technology potential. 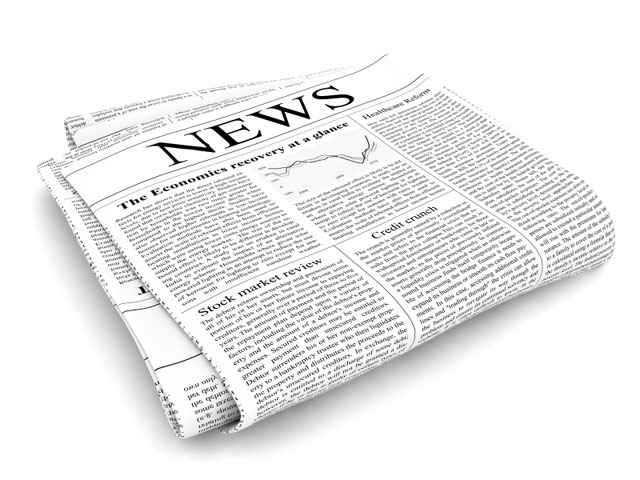 We would be happy to hear more about your system and potentially provide our readers with a write-up. Please feel free to drop us a line at forwardosmosistechportal@gmail.com. It looks like our membrane concerns are sorted then!? 1MW/M2 is a great figure, let’s hope their work produces the results we want. As for membrane suppliers, I’m afraid there are currently no commercial providers of PRO membrane modules. Just out of interest, what kind of membrane module areas (and form factors) are you looking for? I have now read the FO e-book and think it’s an excellent summary of current state of the art and a great reference book too. We really do seem to be on the cusp of a revolutionary new method of power generation. It is a pity that current membranes are not up to it (yet) but they soon will be! I’m very happy to hear you find our book useful! We too believe FO is on the cusp of widespread commercialization. By the way, some big things will be happening on the ForwardOsmosisTech Portal during the upcoming months so do stick around to catch the action. You mentioned the ‘cusp of commercialization’ well, is 1MW/m2 possible? That’s what’s being claimed in the below article. If this is true then we have the technology at last! Its not exactly as I thought but its an enormous amount of power! Thanks for sharing! The technology definitely looks promising but I can’t find any information on the expected cost of the membrane and how they plan to produce it on large scale. From my point of view this is essential for commercialization. 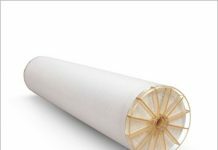 Just found this site, Neha, the best returns are from hollow fiber membranes wgich have now cone down in price and are readily available. We used pure water for our feed and pure water with added salt for our draw. The result is no fouling of the membranes which thus extends their commercial life. We are going into production this year and are currently manufacturing several scaled down generators to your the UK so we can show case our generators. More info on our website.